There appear to be two colour variations: the orange as shown in the pictures, and blue. 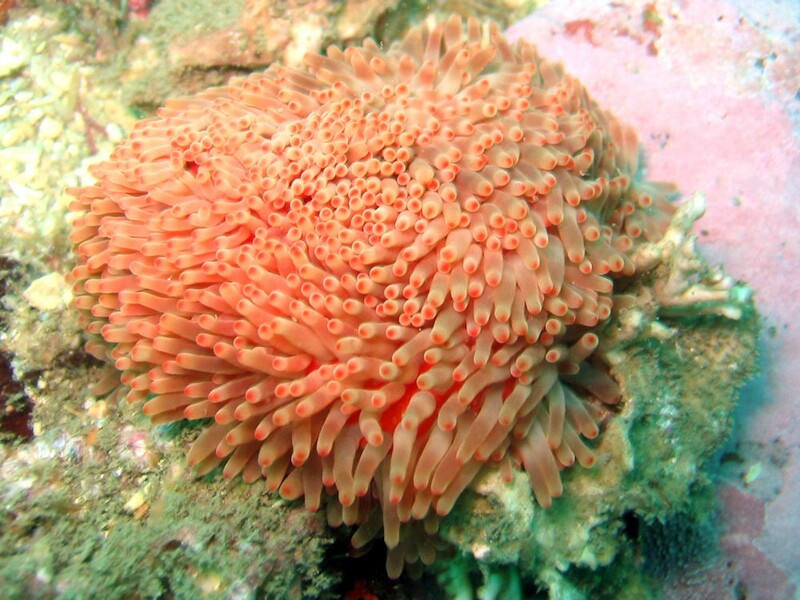 Their appearance is rather like a scruffy woolly sock, hence the alternative common name.The mouth can open widely to engulf fairly large coral colonies, which being sessile, require the anemone to move about to find them. 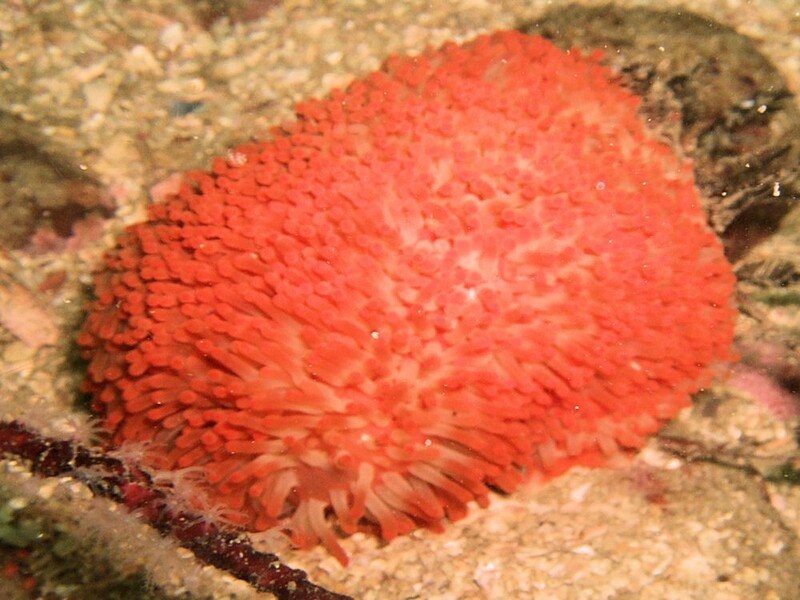 Behaviour: Anemones are pretty much opportunistic feeders, waiting for anything edible to float by, get trapped by their tentacles with stinging cells, before getting eaten.The sock anemone is different. 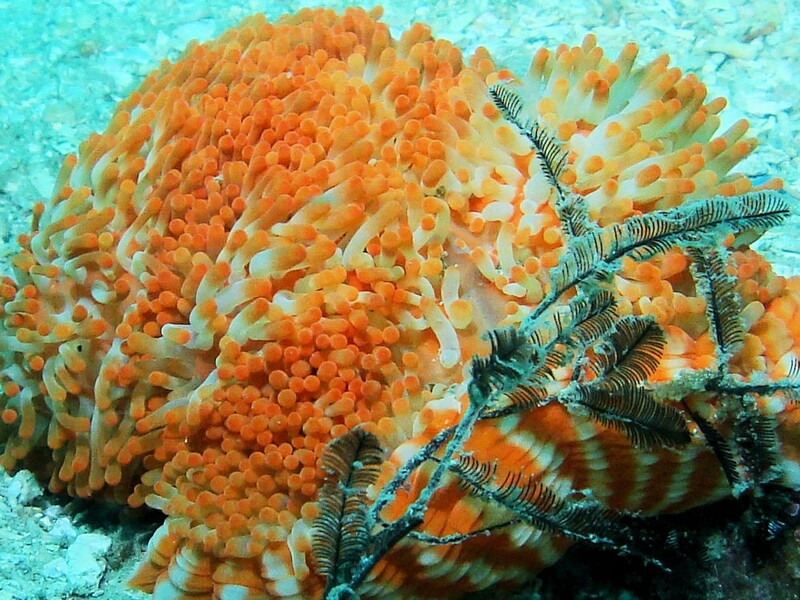 It feeds on the multi-coloured sea fan Acabaria rubra or soft corals. The problem is, the sea fan or soft corals do not float about - they are sessile. So, once the anemone has decimated the polyps, in the case of the sea fan leaving only bare branches, it needs to move on. 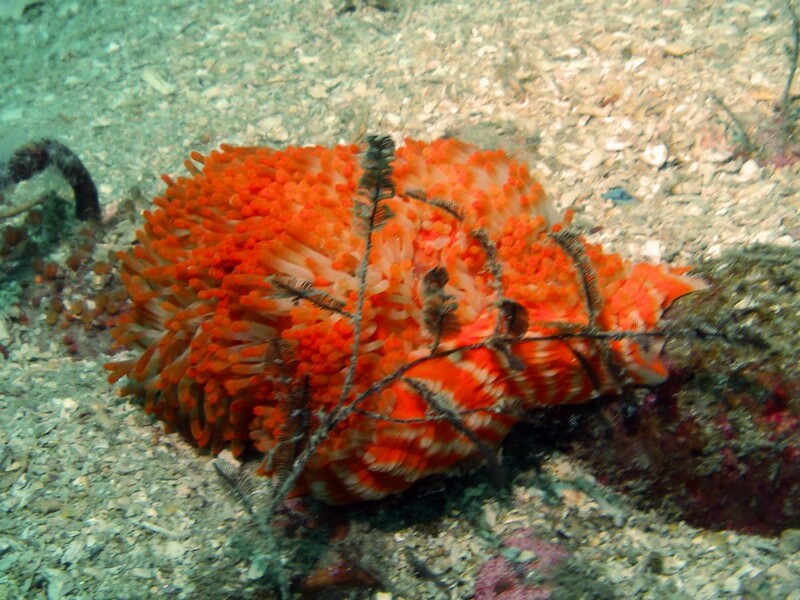 This it does by relaxing its already floppy body, allowing it to "wave" about in the surge until it manages to latch onto another sea fan or bunch of soft corals, after which it simply lets go at the other end, and re-settles to continue feeding. 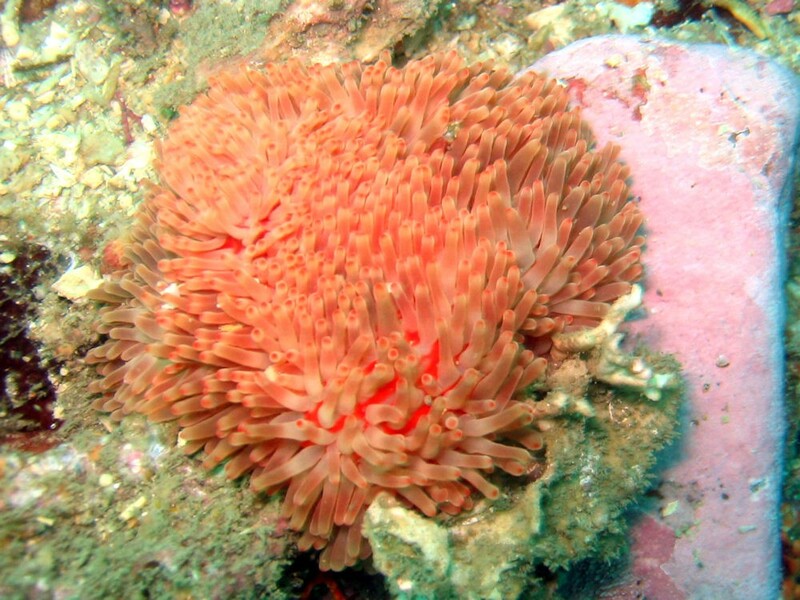 Habitat: They are usually found attached to the substrate by the basal disc like other anemones, but are also quite frequently seen hanging on by the tentacles or waving upside down in the surge while moving from one place to another.